It is a great time to become a pharmacy technician. 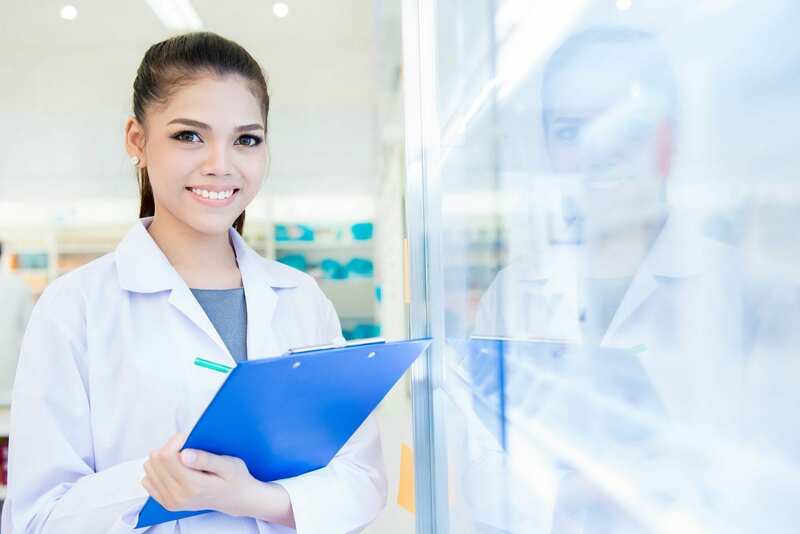 According to United States Bureau of Labor Statistics, employment of pharmacy technicians is expected to grow 9 percent, faster than the average of all occupations. The projected growth is a response to rising demands for medications among the senior population. 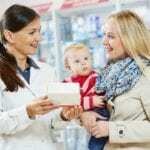 In retail pharmacies, technicians provide invaluable support to licensed pharmacists, giving them the freedom to focus on patient counseling and other support services. A technician’s role in this setting might include preparing prescriptions for dispensing to customers, packaging and labeling medications, receiving written prescriptions and requests for refills, verifying orders for accuracy, and counting, weighing, pouring, and measuring medications. 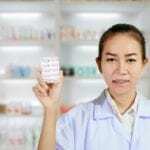 The pharmacist must check the prescription before it is dispensed to the customer and will also respond to customer queries and concerns referred by the technician. Other duties a technician may perform in a retail setting include establishing and maintaining patient profiles, managing stock, and preparing insurance claims. Technicians employed in institutional pharmacies perform additional tasks that include reading patient charts to prepare and deliver medications, updating patient charts, packaging and labeling unit doses, and preparing a 24-hour supply of medicine. The pharmacy technician program at Lansing Community College prepares students for entry-level employment in hospital and community pharmacies. Graduation requires completion of 7 credit hours in the two semesters allocated. The training includes a pharmacy externship that requires a commitment of one evening per week. Prerequisite courses include Math 050 or math level 4 with a GPA of 2.0 or above and pharmacology. Students learn pharmacy medical terminology, law and ethical guidelines for technicians, pharmacy calculations, reading and interpreting prescriptions, drugs and their effects, generic and trade name drugs, aseptic techniques, billing and insurance, and inventory control. Participation in the pharmacy technician externship requires a reading level of 5 and writing level of 4 and math level of 4. Applicants must also complete Bloodborne Pathogens and HIPAA Training, provide documentation of a negative 2-step TB skin test, pass an ICHAT criminal background check, and attend a mandatory orientation. Students who successfully complete the program will be ready for success on the Pharmacy Technician Certification Board National Certification Exam. Tuition costs $221. The residential pharmacy technician program at Ross is an intensive course of study that may be completed in 36 weeks. The curriculum covers 900 clock hours or 66.5-quarter credits. Instructors teach students how to support a licensed pharmacist in a retail or hospital setting, procure drugs and manage inventory, as well as use pharmacy software to update patient profiles and maintain inventory. Students also gain technical knowledge of parenteral admixtures, aseptic techniques, compounding procedures, dosage calculations, preparation of drugs, and packaging and labeling drugs. Course modules include measurement systems and dosage calculations, pharmacy operations, introduction to pharmacy, non sterile compounding, pharmacy law and ethics, medical terminology, pharmaceutical agents, community and retail pharmacies, and hospital and health systems pharmacies. Applicants must be 18 years or older and have a high school diploma or GED, submit to a criminal background check, take a 2-step TB test, and complete the health requirements. Tuition costs $14,600. The pharmacy technician program at Dorsey Schools is a comprehensive program that may be completed in one year. The curriculum includes academics and a pharmacy externship that gives students the opportunity to practice their skills in a real-world environment. It covers topics such as communication, customer service, medical vocabulary, pharmacy operations, body structure and function, drugs and their side effects, generic and brand name prescriptions, basic pharmacy practices, and laws and regulations. Other areas of study include insurance billing, psychopharmacology, pharmacology, inventory management, vitamins, minerals, and vaccines. A pharmacist will supervise students during the pharmacy externship in an ambulatory pharmacy. The externship will take place during the last module of the training. Graduates will be eligible to sit a national pharmacy technician certification exam. Applicants must have a high school diploma or equivalent, attend a career planning session with a representative from the admission department, and submit to a criminal background check. Tuition costs $12,264. In addition to tuition, students must budget for books, drug testing, background check, and a lab coat. Dorsey Schools will cover the cost for students to take the certification exam – one time only. Financial aid may be available for eligible students.